This Briarwood at Indian Spring condo features two large bedrooms and two full baths with stairs and private elevator plus a one car garage. The high volume ceilings enhance the open floor plan. 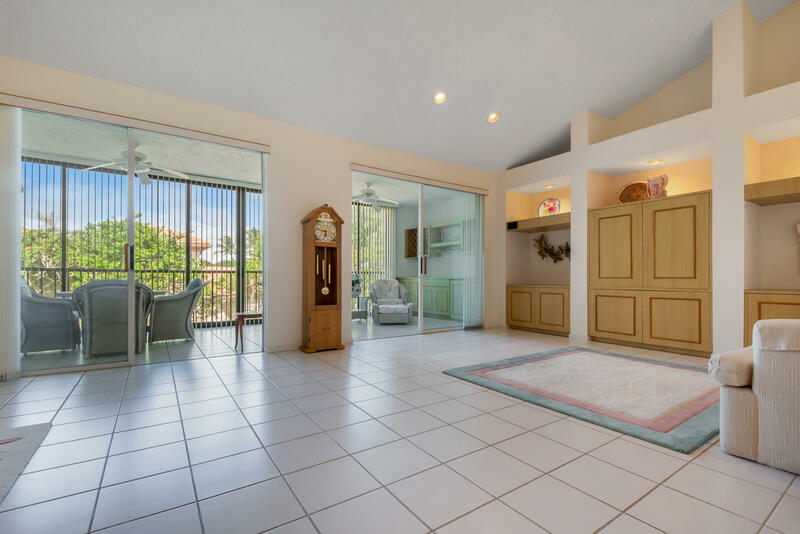 Large living room, open den and dining room make this unit perfect for entertaining. Custom Wall unit in living room. Custom dry bar on lanai. The eat in kitchen features white raised panel cabinets and neutral granite. Newer oven & microwave. The master bedroom is large with a tremendous walk in closet. Huge enclosed patio with a serene garden view. Newer AC and Hot water heater. Condo fee includes: 24/7 guard gated security, cable, roof maintenance, lawn care, and community pool which is just a short walk. Membership in the Indian Spring Country Club is optional.